When Naomi Osaka is not making waves on court, she knows how to do that off it. The Japanese tennis star inked a brand new endorsement deal with sportswear-manufacturing giant Nike. “I’m proud to become a member of the Nike family and excited about getting involved in all of the opportunities Nike has to offer,” Osaka was quoted as saying in an official release. Osaka, the current world No. 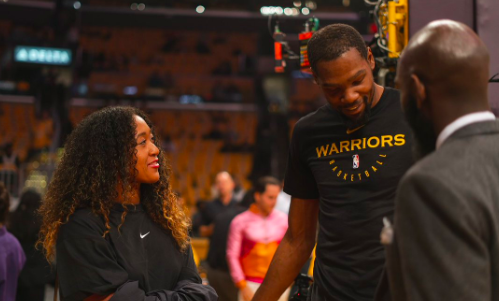 1 and two-time Grand Slam champion, later took to her official Twitter handle to share a picture of herself being welcomed by NBA superstar Kevin Durant. “What a welcome, thank you!” wrote the 21-year-old, who was previously promoted by Adidas. Meanwhile, Osaka, who hasn’t played since losing early at the Miami Open, is scheduled to return to action at WTA Stuttgart that gets under way on April 22.